Great Week: We had another great week around the District. Thursday was a highlight because we had a rare Thursday night football game against crosstown rival CBA, and our Marching Band provided the half-time show. The weather was great and we estimated about 2,000 people on hand to see our students perform. Good stuff! Anti-Bullying: The last time I had an opportunity to speak to our high school students we spoke about what role they play in continuing to set a good tone for the other students; especially those in the younger grades. I am very proud of our students and how they represent us as a community. We also spoke about turning the corner on bullying and ending it in our schools once and for all. They agreed that people need to do less by-standing and take more responsibility for having a bully free environment. I reminded them about a link that we have right on our District home page where they could report bullying or situations that could turn into bullying. I was very pleased that a student already used that resource to report a situation that was working its way into a bullying incident. We were able to use the information to make the situation head into a different direction. As community members we are very fortunate to have the respectful and positive students that attend our schools. Teacher Evaluations: Our teachers are continuing to work on the goals that will help to define how they are evaluated. This is creating some stress, but I am confident that our teachers will create targets that increase student achievement, and that they will do so in a way that will make them models for other schools to emulate. Coming up this Week...This week we will be establishing our redistricting transition team meetings, finishing up open houses (West Genesee High School on Thursday), and wrapping up what has been a very successful September. I have been very appreciative of this late season nice weather! With the clear skies that we have had, I have gone running early in the morning when I can see the moon, stars, and the sun all at the same time. I know that this won't last, but that doesn't mean that I can't enjoy it while we have it! Thanks to all of you who have been able to attend our various Open Houses. It means a lot to your children and our faculty and staff as well. About half of our buildings have had their Open Houses so far, and we will finish up next week. It is always great to see everyone. 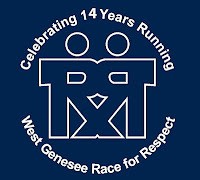 Race for Respect: On Sunday, September 23, the 14th Annual Race for Respect will be held at the high school. This event is deeply rooted in our desire to bring a culturally diverse community together for a common event and DOES NOT raise money for any cause. In fact, the race just about breaks even each year. It is meant as a way to bring our community together, have some fun, and be healthy. I am hoping that you can join us this year. 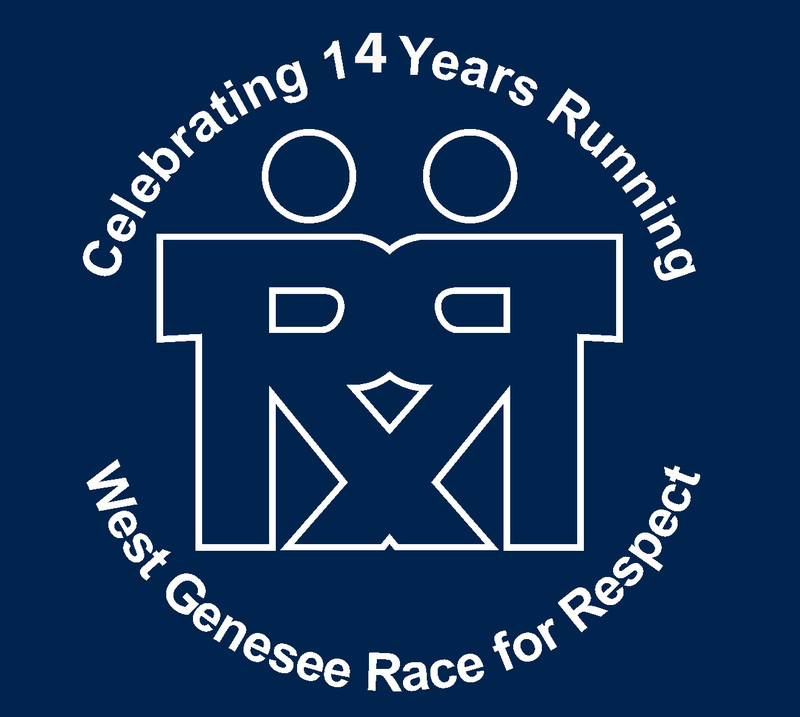 Information about the Race for Respect can be found by clicking here. Question 1: Are the "Common Core Learning Standards" a good thing for my child? Great question. The Common Core Learning Standards, or CCLS as you will see in different publications, represent a Federal initiative to even the playing field in terms of what is taught (right now in English, Math, Social Studies, and Science) to each student at each grade level across the country. This initiative is to be implemented by each state. The Common Core Learning Standards, from my view as a parent and a superintendent, are a good thing. I have a senior who over the summer went on many college visits. At each school the academic diversity among incoming freshman was clearly evident, and that diversity only represented different students within the United States. The CCLS, over time will decrease the academic diversity, at least in the US, and would allow college professors to know exactly what skill sets their incoming students have, which could be very powerful. I also think that the CCLS will bring about more creative content and curriculum from publishers. With so many states having so many different standards, the publishing companies have to create different material for different locations, eating into time, research, and dollars. Unified standards would mean that those same publishers can concentrate on material development, delivery, and innovations to include technology. I find this to be an exciting possibility for students. My concern about the CCLS is that there is currently nothing on the radar screen for the arts, electives, or the social sciences. I can't really draw, sing, or play an instrument, and I completely understand that there are far fewer jobs in the arts than the sciences, but I absolutely believe in educating the WHOLE child. My hope would be that these areas are not forgotten over time at the federal, and then the state level. Question 2: Are we testing children too much? Another great question. I think we need to define what a "test" is considered to be. For many, state assessments are the tests that seem to keep coming out of nowhere. The concern would be that this increase in state testing is severely taking a toll on teacher creativity (they have to teach to the test, essentially), and that whatever a child scores on the assessments paints the picture of that child. Good or bad, that is how the child is perceived through the eyes of the state, school, and peers, throughout their school experience. My oldest son was halfway through his Kindergarten year when I became a superintendent. I have watched both him and his younger brother progress through each grade as a parent and as the educational leader of the District. I think from this experience I have learned that the state tests have changed greatly. They more accurately reflect "real life" situations and experiences than ever before. I would also say that due to the physical number of state assessments, teachers have had to cut out certain units of study along the way. For instance, the "model rocket" unit (for those readers around my age). That extra time allows teachers to teach all of the testing material before the test, which is actually given well before the end of the school year. This does frustrate me both as a parent and as a superintendent, and if I was Commissioner of Education and all of these assessments were proven to be necessary, I would give them all at the end of the year which is similar to what happens in high schools today. On the flip side, I am a fan of a concept called "Data Driven Instruction" which means teachers use data collected from any assessment we give a child to change how individual children are taught. To collect data, teachers would use a variety of instruments like online exercises, quick quizzes, projects that can be graded, etc... and evaluate the data to see if an entire unit needs to be taught, or if concepts within a unit need to be stressed. This decreases boredom in the classroom, and allows the teacher to provide additional assistance to those who need it, along with additional instruction to those who demonstrate they are ready to move ahead. This is a blog and not a book, so I am going to hold off until the next blog to write answers to a couple of other frequently asked questions regarding educational changes. If you would like me to explain my answers more fully or you would like to have a conversation, please feel free to contact me. Thanks to the 6,000 or so of you that read my blog each week and have a great weekend! Over the weekend I had an opportunity to watch a good old fashioned football game on our grass field in the rain and wind. While we came up just short against a very competitive Fayetteville-Manlius squad, I was very happy to see so many of our Modified athletes on hand to thank the community for raising enough money to run a full slate of modified athletic events this year. I think that the parents appreciated their efforts, especially in the downpour that drenched us all as the game began! I was then able to watch the Marching Band conduct final preparations for their competition that took place on Saturday evening at East Syracuse Minoa. The Wildcats finished in first place with a score of 80.2 which is a great first effort. Congratulations. I then had to quickly jump into a suit and head out to Skaneateles to be part of a fundraising event for an organization called Todd's Fund. Todd's Fund has given thousands of dollars to families in need within our own school District. I would mention all of those on the Board, but I know that they would much rather continue providing opportunities to needy families and children in Central New York than to be recognized. Please accept my thanks for helping our families and students. Also this weekend an article ran in our local newspaper about a neighboring school removing recess from elementary students schedules this year. Click here to read the article. I received many positive comments about the importance that we place on healthy choices and physical activity, and I am very appreciative of those who took the time to comment. I did want to address quickly how my comments made their way into the article, in case any readers thought that we were taking an opportunity to weigh in against another school. I had received a questionnaire from a reporter about recess in general. It asked do we have recess, if so how frequently, do I feel that recess is important, etc... Some of my responses were used in the article. I want to make it clear, however, that while I am very much in support of recess for our children, the questions were not presented to me in a way that would have lead me to believe that the answers would be used as a contrast to a school that is choosing not to include recess for children. It is important that I mention that because at the end of the day, ALL of us are trying to help children. Differences in how we are trying to accomplish that goal are respected within our professional circles. Had I known that the questions I was given would be used in the way they were, I would have probably chosen not to comment or I would have used this space to speak about our inclusion of recess. I am looking forward to another great week getting to know new students, working out problems that occurred the first few days, and preparing for Open Houses. You might be surprised when I say that I find the first day with staff more stressful than the first day with students. This has always been the case for me, and I think it has to do with how important setting the tone for the year actually is; especially in an organization as large as ours. All staff e-mail messages may reach everyone, but nothing beats human interaction and actually speaking to them in person. This will be my fifth opening day at West Genesee and my thirteenth overall as a Superintendent of Schools. While I do support recycling plastic, paper, and glass; I do not support recycling speeches. Our staff deserves a fresh message each and every year that is exactly tailored to what we have gone through and what we are about to experience. What will be the theme for this year? Revitalization. The formula to our success is not complex, but the components are essential to both personal and professional relationships. We value trust, communication, collaboration, unification, composure, and consistency. Trust is trust and is developed over time, and you either mutually have it or you don't. All of the other traits can come and go if you let them and sometimes when a relationship has been established and moving forward for a period of time, it is necessary to go back to what made those butterflies appear in your stomach the day that you met that special someone, or in my case that special group of 900 employees, nine Board of Education members, and many thousands of community members. Revitalization does not necessarily mean change. It means appreciating what is there and collectively finding different ways to make things even better for our students and for each other. That is the message and the goal for this school year. I am very excited to help make it all happen and I sincerely appreciate your continued support. Please remember that Wednesday and Thursday are half days for students grades 1-12. (Kindergartners will start on Friday.) I am appreciative of your patience as we work our staff through state mandated trainings during this time. We have awesome substitute teachers, but there is extreme value to consistency in the classroom and without these training times you could expect to see your child's teacher out of the classroom probably 10 to 15 times this year. Thankfully, we can address our needs through the half days and things can remain consistent in the classrooms. Also, please remember that beginning on Wednesday there will be school buses and student drivers out on the road again for the morning and afternoon commutes. A few extra seconds of paying attention can go a long way. I will reinforce this with the students as well during the first couple of weeks when I meet with them in student assemblies. On a very positive note, the Save Modified Sports Boosters were able to accomplish their goal of raising enough money to operate a full schedule of modified sports for the 2012-2013 school year. They have also planned some awesome events for this school year to prepare for the 2013-2014 school year including laser tag, dodge ball, three-on-three basketball, and several other activities to help keep our modified youngsters on a field or court for another year. I could not be more proud of their efforts and their organization in general. By the book, determined, organized, and for a good cause. Simply awesome. Check out our Facebook page and the Save Modified Sports website (http://savemodifiedsportsatwg.com/) for the exact dates and times of their upcoming events. You can also follow them on Twitter (https://twitter.com/SaveModSportswg). Speaking of Twitter, now is the time to sign up and follow me on Twitter at @cbrownwgcsd as I look forward to another year of keeping everyone very informed. Enjoy the first week of school and I wish all of you the very best school year!